Unless you work for a very early stage company, your sales team is using a CRM. Get your team seats on that platform, teach them how to use it, and start creating the opportunities that you’ll be handing off to sales or account management. If you kick off the opportunity creation process, you’ll be able to track the number of opportunities the customer success team creates and follow them through the sales cycle. Train your team to add opportunities to your CRM system as soon as they identify a potential need. Even though this increases the number of opportunities that are lost, those losses provide valuable information about where your products and pricing may need adjustment. Your success team should be able to qualify an opportunity so that they aren’t wasting the sales team’s time with deals that won’t ever pan out. However, the qualification process for existing customers looks very different from what an SDR would do to qualify a prospect. CSMs should be able to ask questions that uncover problems you can solve, determine the impact of those problems on the customer’s business, and learn what the customer would value most about your solution. Since the job of a CSM is broader than that of an SDR, they need to be adept at weaving these questions into the conversations they have with customers day-to-day. Once a CSM determines that a customer has a clear, qualified need they need to hand off the information they have gathered to sales or account management. Again, your CRM solution can be helpful in this area. If you need to, add some fields to the opportunity object that can be used to track things like the customer’s pain points, what they value about the solution, their budget and timeline. If the opportunity is large or complex, it is worth taking some time to do a verbal handoff to the rep who will be working on the deal. In addition, be sure to communicate losses or disqualified opportunities to your product team so they understand any solution gaps. Once you’ve set up your CRM system, you’ll be able to track the tangible impact your team is having on expansion opportunities. You should measure the number of opportunities created, the number handed off to sales, and the number that end up closing. You should also track the revenue that originated from your team. Tracking this information doesn’t mean that your sales team doesn’t get credit for the work that they do to close these deals. However, it is important that you and your company’s leadership team clearly understand the positive impact that customer success is having on expansion revenue. Maximizing and communicating this impact positions the customer success team as a revenue producer, rather than a cost center. This means your company will be more likely to invest in the people and tools you need to provide customers with an exceptional customer experience. Kristen believes that customer success is the key to driving revenue, client retention and exceptional customer experiences. 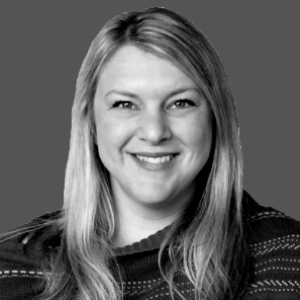 Her areas of expertise include developing success metrics, designing the optimal customer journey, selecting technology, training teams, and building playbooks. Prior to founding The Success League, Kristen built and led several award-winning customer success teams. Over the past 20 years she has been a success, sales, and marketing executive, primarily working with growth-stage tech companies. Kristen has her BA from Seattle Pacific University and her MBA from the University of Washington. She currently resides in Silicon Valley with her family and an energetic German Shepherd puppy.